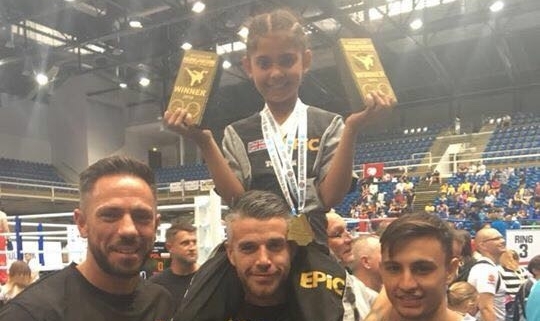 The Hungarian Kickboxing World Cup 2018, was held in Budapest between 18-20 May. 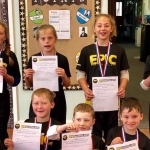 Team Epic had a team of 9 fighters, these were Teia Doyle, Sean McDonald, Alex Fellender-Evans, Ellie Doyle, Harrison Doyle, Rhiannon Bater, Kam Doyle, Tom Warburton and Rakan Sabah. Head Coach, Andy Cleeves said ‘The team were on fire this weekend, from start to finish. I was extremely proud of each of them, for achieving such great results. They all showed great technique and determination competing against some of the best fighters in the world. The event was fantastic, so well run and professional’. The team did incredibly well, finishing 10th on the medal table from over 190 teams, with 7 gold, 2 silver and 5 bronze medals. 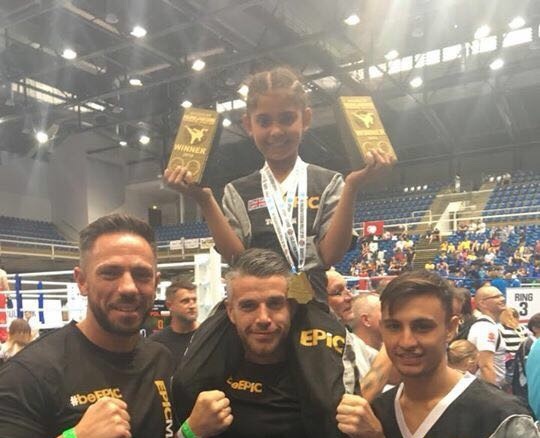 There were golds from Kam Doyle in PF JM -63kg, Sean McDonald in PF 8-9 years, white, yellow & green sash +28kg, 2 golds for Alex Fellender-Evans in PF YC -28kg & LC YC -28kg & 3 golds for Teia Doyle in 8-9 years PF -28kg & -32kg and white, yellow and green sash -28kg.